Today, most customers engage with brands through a variety of digital means. The digital world is driving a disrupt-or-die transformation. Allied with these trends is an increasing shift for as many physical and virtual assets in the value chain to become digitized, intelligent, and incorporated into the end-of-business process. 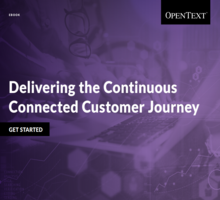 Download this eBook to learn how to create opportunities to infuse great digital experiences into mission-critical processes.